File Director Centralize User Files, Automate Windows 10 Migration, and take control of OneDrive. 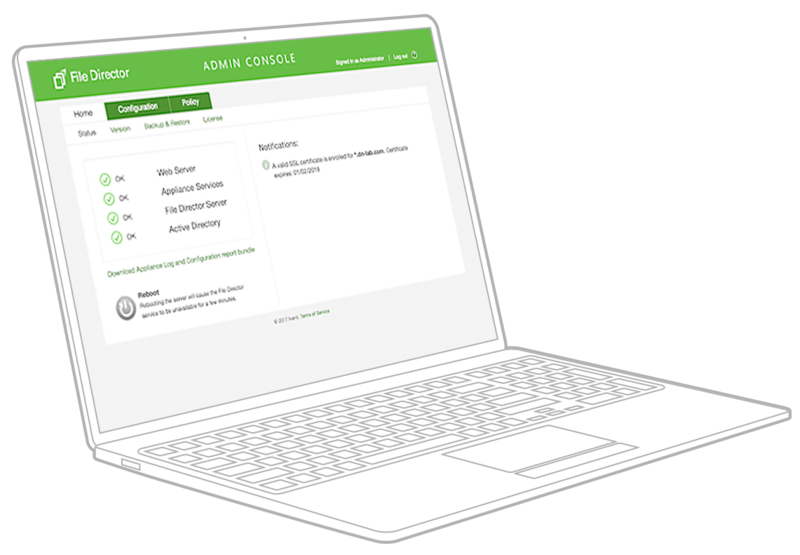 Control, audit & secure user desktop files. CAUTION: Time to get graphic. Give user files some love during migration. 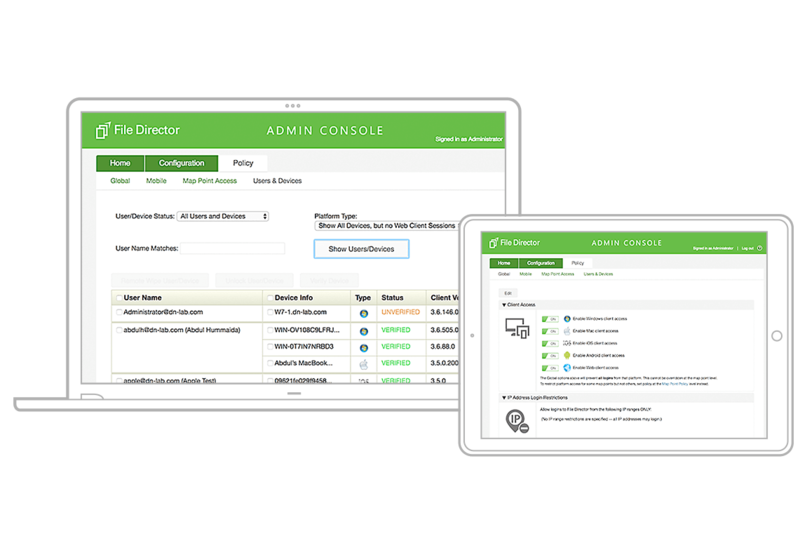 File Director, powered by AppSense, syncs user desktop files—even PST files—to on-premises or cloud storage with total IT control, audit, and security. Users get an unchanged Windows desktop experience, with zero disruption during an OS migration and total file access from any device. In addition to Windows 10 migration, this approach makes any migration, break-fix, or desktop transformation project effortless. Users get a familiar Windows experience—IT gets effortless desktop migration, reduced data center storage costs, support of multi-platform clients, and desktop file audit and control capabilities. Capture, control, and audit Office 365 users’ 1TB of OneDrive storage.